When it comes to the health of your pooch, giving them a balanced diet should be your top priority. Many dog foods claim to offer a ‘complete meal’, but it’s not always clear what nutrients they contain and what the healthy amounts are. We’ve enlisted the support of our Veterinary Consultant, Dr Eric Jackson, to help us look into the nutritional values of some of the best-selling dog food alongside popular raw, natural and grain-free pet food and come up with a comprehensive dog food guide. Check it out below, but don’t forget to speak to your vet to get a clear picture on the recommended intake – these vary by age and breed. Read on to find out how to make sure your pooch gets the diet it deserves. A balanced diet for dogs consists of a mix of proteins, fats and carbohydrates – and that goes for humans, too. Everypaw vet, Dr Eric, suggests that carbohydrates and fats should constitute about 50% of an average size dog’s diet, while protein is likely to be half of this. Most brands stuck to this advice, with their foods containing between 50-60% carbohydrates and fats against 15-28% protein. Many brands print this information clearly on the packaging – if not on their website – however, products that omitted their carbohydrates percentage tended to contain lower levels of protein and fats. A simple way to work out the nutrient value of your pet food is to check the DMB, which stands for ‘dry matter basis’. DMB is the nutrient and mineral content of food once all water has been removed, making it easy to compare the nutrient value in dry and wet foods. One of the wet food brands researched had 78% moisture in one tin, leaving only 22% of dry matter containing protein, carbohydrates and fats. This tell us the percentage fat overall is 22.7%. How much protein should my dog have? Dr Eric suggests that protein should make up about 15-30% of your dog’s diet. Puppies often require more protein to help them grow and develop, and you should be especially aware of how much protein dogs with heart or liver conditions are getting. As a general guide, adult dogs should consume around 1 gram of protein per pound of its ideal body weight. In the dog foods researched, protein content varied widely, from lows of 6% right up to 28% – averaging at 15.6%. Be aware of pet foods offering high meat content as they may contain a considerable level of protein. Speak to your vet, contact the brand or carry out a DMB test if you’re unsure. How important are carbohydrates to my dog? Carbohydrates are your dog’s best source of energy, so they tend to make up three times more of your pooch’s diet than fats. However, dogs don’t necessarily need carbohydrates in their diet. According to Dr Eric, they can get all the necessary energy from proteins and fats. Now, while many dog foods include the total percentage of fats contained in their product, they often neglect to mention the levels of carbohydrates. 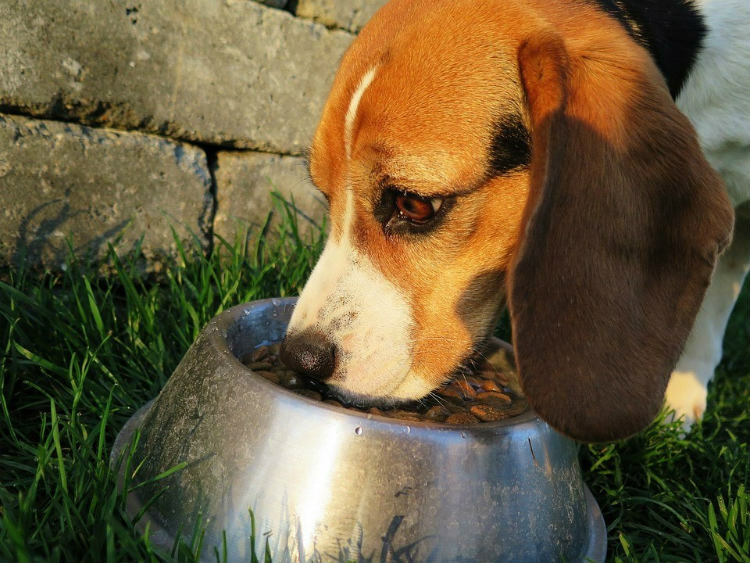 What’s more, it’s not always easy finding out this information – seven of the brands fail to disclose the level of carbohydrates in their dog food. What are the benefits of grains in pet food? Grains are a great source of fibre, as they help your pooch digest their food quicker. Too much salt: Salt can increase the appeal of food, which could lead to overeating. Salt can also cause your pet to drink and urinate more, potentially causing hypertension, heart disease and kidney problems and, in rare cases, salt poisoning. Dr Eric mentions your dog should eat no more than 0.5-1g of salt per 100g of food, and even less if they have kidney or heart problems. Thankfully, of the 20 foods researched, none had more than 1g of salt per 100g of food – although some brands stipulated ‘no added salt’. Vegetarian diet plans: Don’t get us wrong, it is possible to switch to a vegetarian diet for your dog. Just be cautious – without meat, it’s a lot harder for your pooch to get the protein they need. Grains are a good substitute, but they contain carbohydrates too. Remember that meat gives your dog essential vitamins and minerals such as calcium, phosphorus and iron. 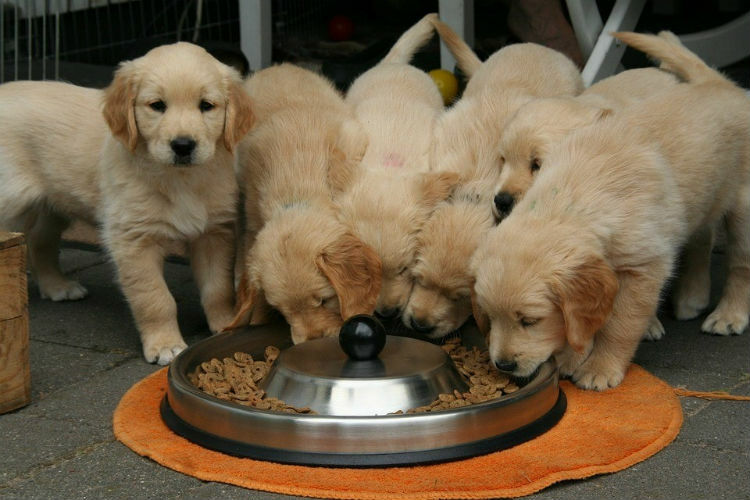 A vegetarian diet is particularly inappropriate for puppies who need a higher intake of protein to help them grow. Dog allergies: It’s not uncommon for a pet to suffer from allergies, with recent studies showing 10% of our pals will suffer from a food allergy at some point of their life. One of the major ingredients that can cause pooch problems is gluten. Symptoms of food allergies include scratching, inflammation and nausea – find out more about these in our dog food allergy guide. The research revealed a rising number of pet foods claiming to be hypoallergenic – but unless you’re certain your dog suffers from an allergy, it’s not necessary to switch to this diet. Speak to your vet if you suspect your dog has an allergy. Human foods: These can cause dogs a number of health issues. Dr Eric says: “There is a number of common human foods which are toxic to dogs. The risk is greater because individual animals vary and we do not know the amount needed to cause poisoning. To be safe never feed chocolate (which could result in theobromine poisoning), onions or garlic (thiosulphate orsulfoxide poisoning), grapes and raisins (kidney failure), and nutmeg (neurotoxin).” Avoid making a serious mistake by reading this list of 15 foods dogs can’t eat. A lot of the information on the nutritional contents of dog food is confusing and sparse. Therefore, we’d recommend being proactive. Understand the individual needs of your dog, contact pet food brands, and speak to your vet to ensure you have enough information to make the best decision for your best pal. Having a fixed diet: Dogs benefit from having a consistent diet and they don’t seek variety at meal times. When shopping for your dog’s dinner, look out for terms such as ‘fixed formulation’. This means the same ingredients are used regardless of the change in prices to the manufacturer. 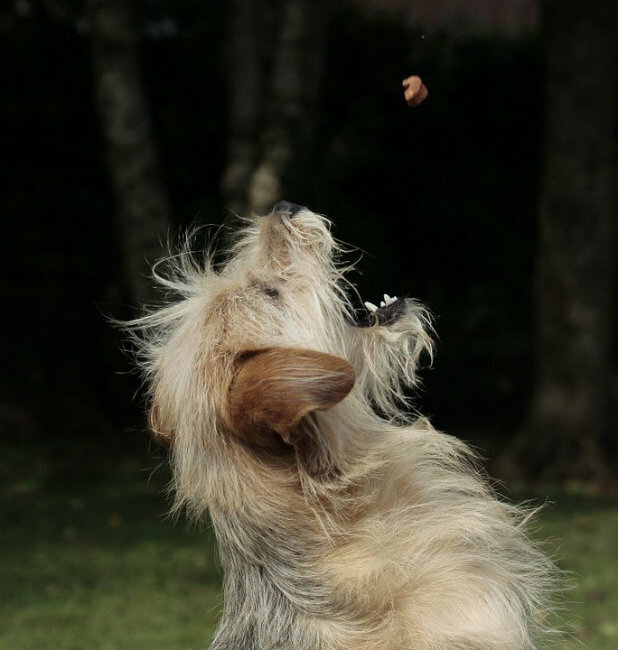 Limiting doggie treats: These tend to be high in fats and sugars, and therefore can contain a lot of calories. While rewarding your pooch with treats can encourage good behaviour, try to buy treats that have benefits such as dental care or added nutrients and limit the amount you give. Checking your pet’s Body Condition Score: An easy way to measure if your dog is carrying some extra weight without lifting them onto the scales is to conduct a Body Condition Score. By feeling your dog’s spine and ribs, you can assess how much fat they are carrying. Give them a score between 1-5 (1 being underweight and 5 being overweight) and amend their diet accordingly. Reading the label on your pet food: An alarming number of pet food brands hide their calorie content. This may be because calories are sometimes described as ‘energy’. The research revealed none of the 20 dog food brands looked at had any calorific information freely available. If this is the case, call or email these brands to provide this information or consider switching to a fixed-formula diet. For more guidance on tackling an overweight pup, check out our Get Fido Fit challenge and see how we transformed the diets of three dogs in just six weeks. The more aware you are of your dog’s nutritional needs, the healthier and happier they will be. So next time you’re shopping for your dog’s dinner, read the back of the label carefully – and ask your vet if you have any concerns.